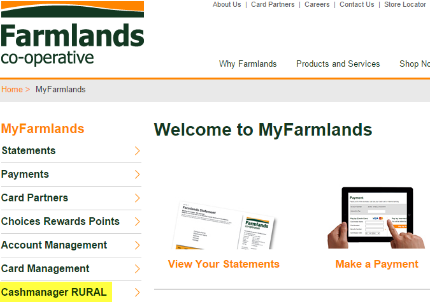 Cashmanager RURAL online now receives all your Farmlands purchase information automatically. Once set up, your Farmlands transactions will arrive each month, pre-coded, with additional purchase information loaded directly into notes. Select Cashmanager RURAL from the menu. Click on the link 'Visit the Cashmanager RURAL website'. Register as a Cashmanager RURAL user. Follow the prompts to purchase a farm business subscription with your Farmlands card. Fill out the Farmlands authority form. Email the completed form to onlinefeeds@crssoftware.co.nz. Your Farmlands monthly statement will be ready to feed into your Cashmanager RURAL online farm business by the 15th of the month. Follow the instructions below to move purchase information into your farm business Transaction screen. When you enter the Transaction screen, you will be prompted to bring in the Farmlands purchase information for the prior month. Important: If you import bank transactions or use Bank Feeds, click No. It's better to bring the statement into the bank transaction - Find out more here. If there is more than one statement waiting to be imported, you will need to select the correct month. Note: If you record more than one bank account in Cashmanager RURAL, make sure you select the correct bank account for this transaction. The statement will appear in the Transaction screen for you to complete coding. Though most of the purchase lines are pre-coded, there may be one or two lines that require a code. Once a category code has been allocated to each transaction line, click Ok to save the transaction. 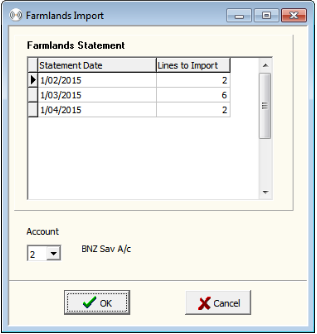 Tip: The statement feed doesn’t automatically correspond to imported bank transactions, so check that the transaction date reflects the actual date you paid your Farmlands account.